Here is a little known factoid: I wrote a piece about the characters I’d like to see in Mortal Kombat X. The resident Jedi Junkie saw it, liked it, and ultimately it was what got me this gig here at JoypadAndMe, along with my natural charisma and command over the written word (ED: we may need to widen the office doors if this ego continues to grow!). Narcissistic ego massaging not withstanding, E3 is on the horizon and I’m fully expecting to hear something about Street Fighter V, Capcom’s latest iteration of the world’s most unlikely and unrealistic street fights. Seriously, what drunken brawl have you seen where one fella pulls off a Psycho Crusher? None, because M.Bison stopped drinking at your local when he found out that Bison Dollars weren’t legal tender. Shadaloo now seeks to crush that particular boozer for such an iniquitous transgression. However, a fighting game is nothing without a rogue’s gallery of pugilists to pummel into the pavement. Or get pummelled by, depending on your skill level. 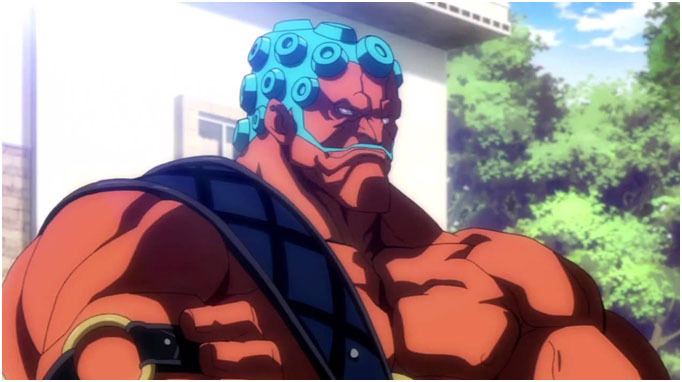 So in keeping with what brought me to the dance in the first place, here are a bunch of scrappers that I would like to see make an appearance in Street Fighter V. Maybe you agree, maybe you don’t, but it’ll be a journey nonetheless. Come join me, won’t you? We’ll kick off this rollicking fun-ride with an actual pugilist, shall we? Dudley is the world’s manliest man and screw you if you say otherwise. A English boxer and a friendlier alternative to Balrog, Dudley is the man you wish you could be: he has nice cars, including a Jaguar that belonged to his father but has since been stolen, he rocks gaming’s greatest mustache (fight me on that), and he refers to his fallen opponents as “gutter-trash”, which is possibly the best ever PG-friendly insult I’ve heard. After outwitting. out-boxing and out-styling you, all that’s left for Dudley to do is to discard a single rose upon your battered, bleeding, broken body. With a stiff upper lip and a granite jaw, this noble prizefighter is needed to bring a touch of class to the proceedings. Those retro gamers amongst you might remember Cody from Final Fight, but he’s had a bit of a fall from grace since defeating the Mad Gear. After being arrested in the events of Final Fight: Revenge, Cody has become a bit bitter, believing himself to be punished even though he saved Metro City. Still, the solitude of prison life bores Cody, so now he’s made a hobby of breaking out and entering martial arts tournaments, because why not? You might be surprised to learn that canonically, Cody is one of the strongest characters in the Street Fighter universe due to his previous experience of fighting multiple opponents at once. Cody sports some fashionable handcuffs which supposedly make fights tougher for him, but Ryu takes them off in the UDON comic series in order for him and Cody to have a fair fight. This unshackled Cody promptly knocks Ryu on his arse. The only reason why Cody would want to keep the cuffs on is to make things interesting for himself, similar to how Akuma and Oro don’t always fight at their full potential so that they can have greater battles. I’m intrigued by the prospect of a Cody that is forced to go “all out”. Bow down before your new God, Shin Cody. Ace – Greater than the sum of his parts. So I may have mentioned that characters have a tendency to look a little weird. Super Street Fighter IV decided to continue this trend by offering to us Hakan. A practitioner of “Yağlı güreş”, otherwise known as Turkish oil wrestling, Hakan seeks to prove to the world that his fighting style is the best in the world. He’s also the president of one of the world’s leading edible oil manufacturers, a distinction earned by being a president of an edible oil manufacturer. Hakan, you see, likes to be lubricated at all times, covering himself in oil not only before a match, but usually during too. Now, my dear reader, all that’s left for you to do is imagine the oil textures in glorious PS4-O-Vision, and you know that Hakan is going to slide his way into the Street Fighter V roster. A young woman with big dreams, Nanakawa Mika graduates from her local junior high school and begins her path towards becoming the next great pro wrestler. After years of intense training, she finally makes her debut as Rainbow Mika. Or R. Mika, if you’d prefer. Idolising the Red Cyclone himself Zangief, R. Mika has only had one foray in a Street Fighter game proper, with that being Alpha 3. I don’t know about you, but I’d say she’s long past due a second chance at the big time. As a wrestler, she has the usual selection of command grabs to crush her opponents, but the key difference between her and most grappler characters is that she’s rather agile, completely opposite to the likes of Zangief, Hugo or even Alex to an extent. Street Fighter V seems to be adopting a much faster pace than the previous outing, so maybe R. Mika’s play style would be a good addition to a roster currently lacking a grappler of any kind. *plays the X-Files theme* If Dudley is the manliest man, Cody is one of the strongest and Hakan is the… Most oiled(? ), then the award for most mysterious must surely go to Q. Little is known about this tall, slender-framed man (not Slenderman), except that he is often spotted nearby unsolved murders throughout the world, yet his motives are still a mystery. Is he murdering people, or investigating them? What are his interests with the strongest fighters in the world? And why does he appear to be part man, part robot? There’s a lot of unanswered questions that I’d like to see tackled eventually, and maybe Street Fighter V is the time. As a primarily defensive, more nuanced character, he’d certainly make for a different dynamic to the combo-centric characters Capcom have demoed so far. Watch out, because Q might be investigating/killing again pretty soon. Sheng Long – You must defeat him to stand a chance. Right, there’s my condensed list of who I want. Believe me, there’s a lot more I could have written about, but I’ll stick with these for now. Who are your picks? Sound off in the comments below or tweet me @donovan_ryder.